LOAF has recently been accumulating some neat '90s hardware with a connection to Wing Commander. The first is a customizable keyboard device with different profiles for various sims. 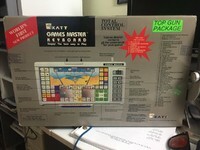 The Katt "Games Master Keyboard" also supported Strike Commander, X-Wing and a couple of Ultimas. He's also picked up a couple of Thrustmaster sticks with WC fighters on the box. 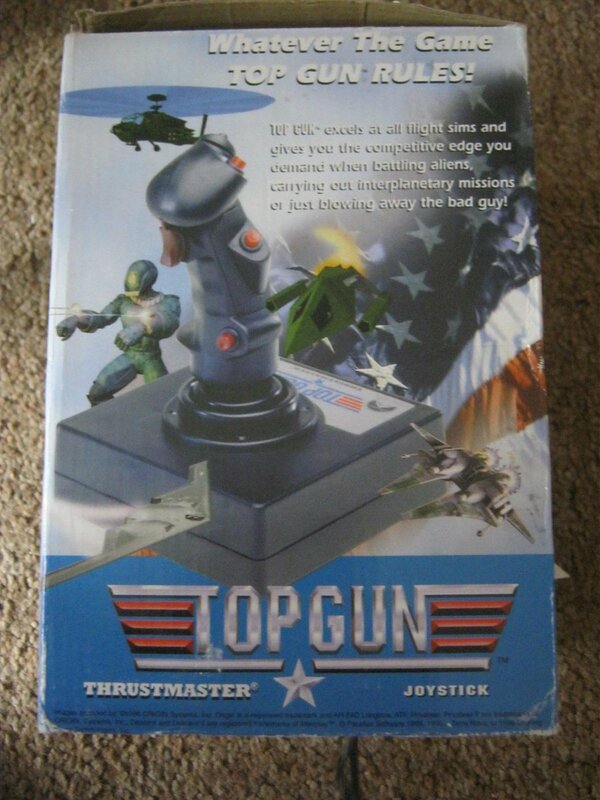 The X-Fighter joystick sports a Dragon and the Top Gun has a Heretic from Privateer 2! Even without explicit tie-in features, adding a WC ship to your box was a good way to pick up some PC street cred back in the day. It's here! The world's first new product. 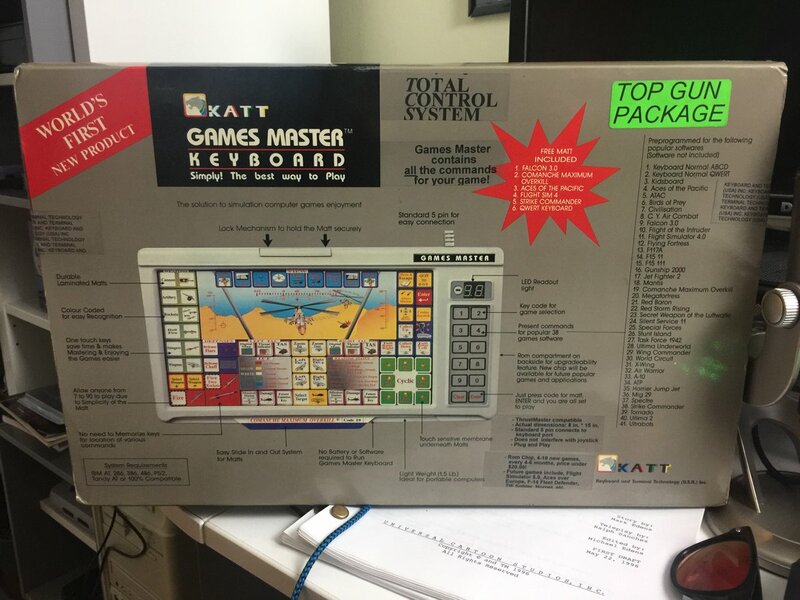 I have a katts gamesmaster keyboard with some overlays. It looks like the box you have posted a picture of. Can you tell me how much it would be worth and where i could get rid of it? Howdy! I paid $100 for this one but it might vary depending on which overlays you have. Could you post a list of them? eBay might be your best bet, or someone here might be willing to take it off your hands!